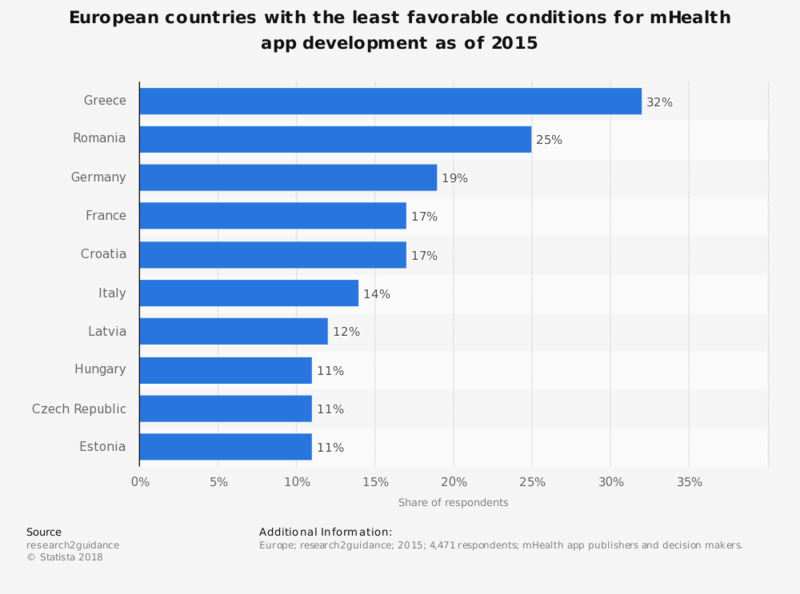 This statistic displays the least favorable countries in Europe in terms of the most prohibitive environment for mHealth business development in 2015. In this year Greece and Romania were ranked as the two least favorable countries for mobile health business operations in Europe. mHealth app publishers and decision makers. * mHealth app publishers and decision makers were asked to rank the top three countries in Europe in terms of most prohibitive environment for mHealth business.